We cordially invite all to the History of Redemption seminar with special guest speaker Rev. Philip Lee. The seminar will be on the 11th book by Rev. 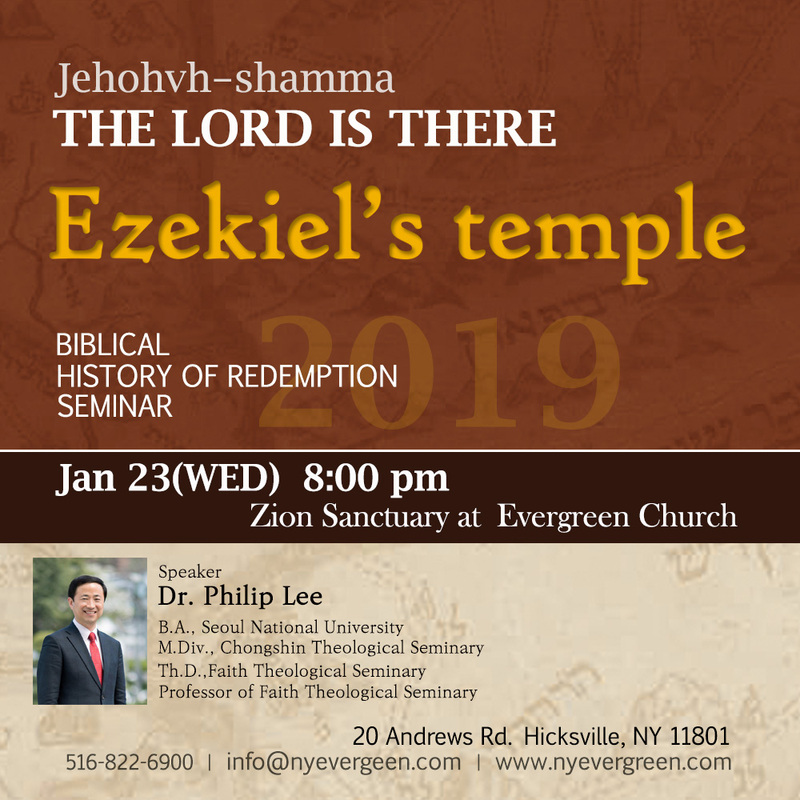 Abraham Park titled, “Jehovah-shammah (THE LORD IS THERE); Ezekiel’s Temple,” which is soon to be published. Invitamos cordialmente a todos al seminario de Historia de la Redención con el orador invitado especial, el reverendo Philip Lee. El seminario estará en el libro 11 del reverendo Abraham Park, titulado “Jehová-sama; Templo de Ezequiel”, que pronto será publicado.